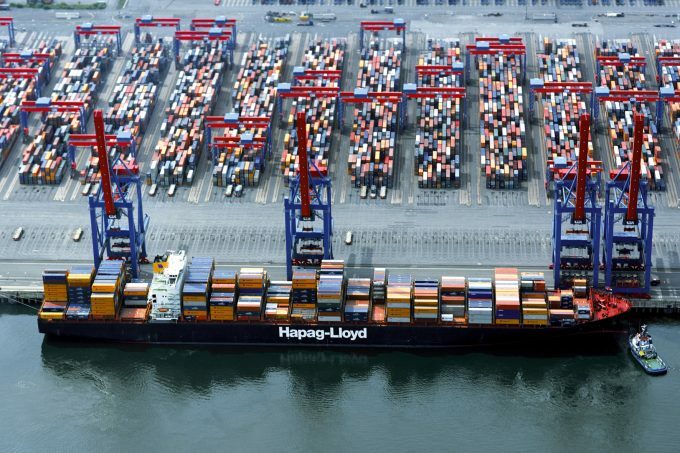 Hapag-Lloyd has formally declared general average on its fire-stricken Yantian Express. A fire broke out in a container stowed on the 7,500 teu vessel en route to the Canadian port of Halifax early this month, which spread to other boxes while heavy weather rendered the crew’s fire-fighting efforts fruitless, forcing them to abandon ship. Ocean-going tugs have spent the subsequent weeks trying to bring the fire under control and the vessel is currently under tow, headed for Bahamas Freeport. The 2002-built, 320-metre vessel sails under a German flag in the East Coast Loop 5 (EC5) service, which connects South-east Asia with the east coast of North America. A customer advisory said: “In conjunction with declaring general average, the owners will appoint average adjusters, responsible for coordinating the collection of general average securities and all documentation required from parties with interest in cargo, containers, vessel, and fuel. It added that information on which documents the average adjusters will require would then be supplied. General average is declared after casualties which threaten the safety of a vessel and its cargo and allows the costs of preserving a vessel and its cargo in such extreme circumstances to be shared among the shipowner and its customers. This means that before cargo can be released, all cargo owners are required to contribute to a general average fund.